It’s not only men who require tough work footwear on a daily basis. Ladies who find themselves in need of a pair of strong work shoes can shop at Working Person’s Store for a great pair of KEEN Utility's Women's 1008823 Flint steel toe hikers. Practical, classi ... (see full details) (see specifications) #KEN1008823. It’s not only men who require tough work footwear on a daily basis. Ladies who find themselves in need of a pair of strong work shoes can shop at Working Person’s Store for a great pair of KEEN Utility's Women's 1008823 Flint steel toe hikers. Practical, classic, and safe, these KEEN Utility hikers are an excellent choice for any woman. This low-cut, footwear is constructed with drizzle/surf spray, waterproof Nubuck leather uppers and contoured heel locks for an extra secure fit. Regardless of what activity your day has planned, your feet will be fine in this breathable material. Rush around or dart here and there without worry as these women's shoes are crafted with non-marking rubber outsoles that are also oil- and slip-resistant. For extra comfort, your new pair of premium shoes were designed with left and right asymmetrical steel toes, making comfort a sure thing. The dual-density compression molded EVA midsoles and removable Metatomical footbeds create advanced foot protection and comfort. These were built with a women's specific last for excellent comfort and fit. Walk in traditional KEEN Utility classic style when you wear this footwear. Not only are these great Flint shoes practical, comfortable, and durable, they also meet ASTM F2412-11 and F2413-11 I/75 and C/75 EH standards making them the perfect shoe for any job. At your home base or off base at a job site, you'll be protected from minor job site hazards when wearing these. Shop at Working Person's Store today to order a pair of these KEEN Utility women's 1008823 Flint steel toe hikers. Right out of the box and into a 12 hour day stayed comfortable and cool even with high temperature and humidity! Well worth the cost of the shoe. I would highly recommend Keen shoes to anybody working long hours requiring a steel toe...I will definitely purchase these shoes, or similar ones, in the future. Add in the free shipping and no hassle return policy and this COULD be the perfect store for working gear. Breathable design and flexibility are also bonuses to these shoes. I could not be happier. I regularly wear different types Keen shoes. I was a bit leery about buying Keen steel toes shoes. Honestly, I can't really tell the difference. Most steel toes are heavy, these are very light weight. I wear these shoes daily to work. Several people were surprised that they were steel toed shoes. I would definitely buy again. 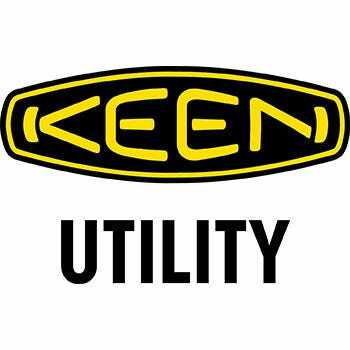 I have not ever bought Keen products before and to be honest had never heard of them until recently. I have been wearing steel toes at my job for more than 18 years and I believe these are one of my favorites. They need a little more arch support and a more cushioned insole but those are things that I can add for not a great amount of money. I will buy this make again and will be telling others about them. Switched jobs and for the first time needed steel toe shoes. Shopped around minimal women's steel toes. Didn't want men's. Heard from a coworker about Keen Women's steel toe. Looks like a sport tennis shoe. Very pleased. Large toe box comfy inside. Sporty look. Would buy again. I bought these shoes because the reviews were pretty good. The first week I wore them they were okay. I have been wearing them for 4 months and my feet are suffering. I can feel where the alloy cup ends in the shoe. I am shopping for other brand now. I work on a steel grid floor and concrete all day. Women's KEEN Utility 1008823 Flint Steel Toe Hikers is being added to your cart.